There’s no reason to wait for things to go drastically wrong before tackling a garage door problem. We recommend that you have your garage door maintained at least once every six to twelve months - it's not only cheaper than having to deal with a major breakdown, it's also safer! An automatic garage door system includes a number of electronic components. The optical safety sensors can become stained or misaligned; causing your door to open when you don’t want it to or (much worse) close when there’s something or someone in the way. Problems with your opener’s motor or with the wiring connecting it to the power supply or remote control system can make your door become completely unresponsive, or cause it to trip at the worst possible moment. It’s a simple procedure to go over these components and check for early warning signs of something off-kilter. The sooner you know about it the better! Over time, your garage door will be exposed to a great deal of mechanical wear and tear, as the effects of rain, frost and regular use set in. Inevitably, the tracks along the sides of the door and the connections between the door panels will start to rust and warp – this may eventually lead to a severe break-down. During a maintenance visit, our team will check your system thoroughly for any rust and misalignment, and lubricate all the moving parts to protect against future wear and tear. The springs that provide the lifting power for your garage door and the chain or belts that connect them to the opener and door mechanism are perhaps the most important parts of the system and also the most dangerous if something goes wrong. If a spring breaks or comes loose, it will release all of the kinetic energy it has stored up, which can send it flying across your garage or even out onto the street. Our team will pay thorough attention to the state of these components – you can count on us to ensure they're in good condition. If not, we'll advise you to replace them. If there’s one part of your garage door you want to make sure you keep maintained, it’s the springs! Our company provides thorough maintenance and diagnostic services throughout Moorpark, and can arrange a visit at your convenience. 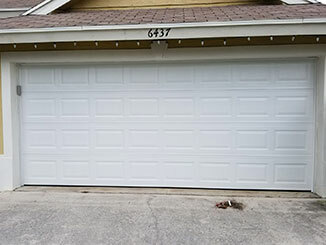 Contact us today and we’ll have our experts on the way to ensure your garage door continues to work in optimal fashion.